These baskets and vases are designed with the intention of having someone in the family bring them home. They are suitable in size to make a nice impression at the service, but they'll continue to look nice and provide comfort for the family while they have company visit in their home. Table arrangements provide a long lasting value. 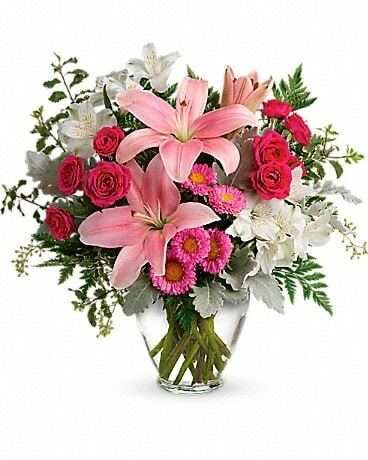 Your order for Sympathy Flowers will be given the utmost priority. We are dedicated to making sure that your final words and thoughts are conveyed beautifully and appropriately. We have built our reputation upon serving families and their loved one with careful attention to every detail. We are always here to help you select an arrangement. We just a phone call away at any of our 3 locations Free Delivery to Funeral Homes in the Capital District When You Place Your Order on our Website. Enter Promo Code: "Funeral" when you check out.